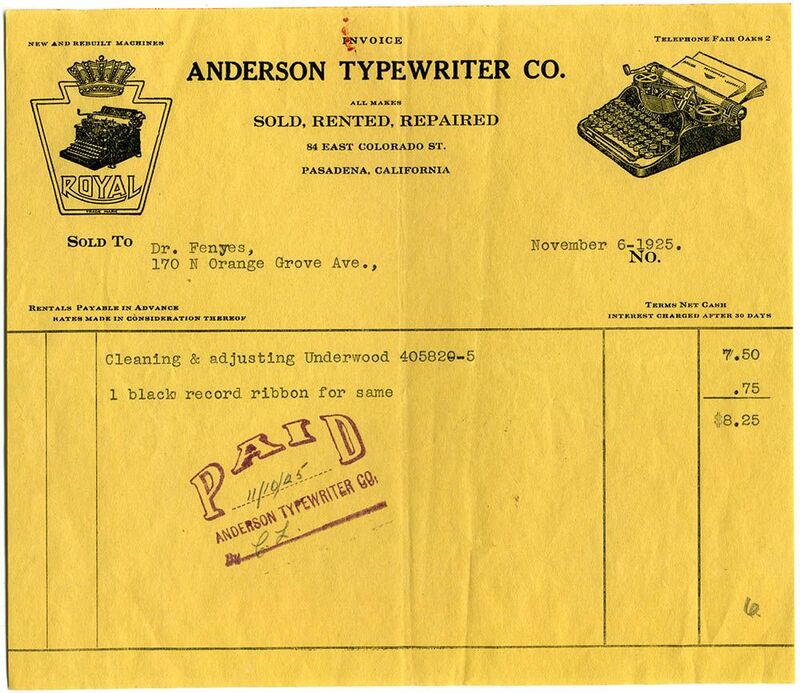 Notes: Dr. Adalbert Fenyes had his Underwood typewriter serviced at the local Anderson Typewriter Company on E. Colorado Blvd. Founded in 1912, the Anderson Typewriter Co. is still in existence today, operating with an expanded focus as Anderson Business Technology. Similar receipts were highlighted in the 2007 exhibition, Prosperous Pasadena, however few of those companies are still in existence today.